Introducing our latest intrusive UXO survey rig – already out and about clearing pile positions. 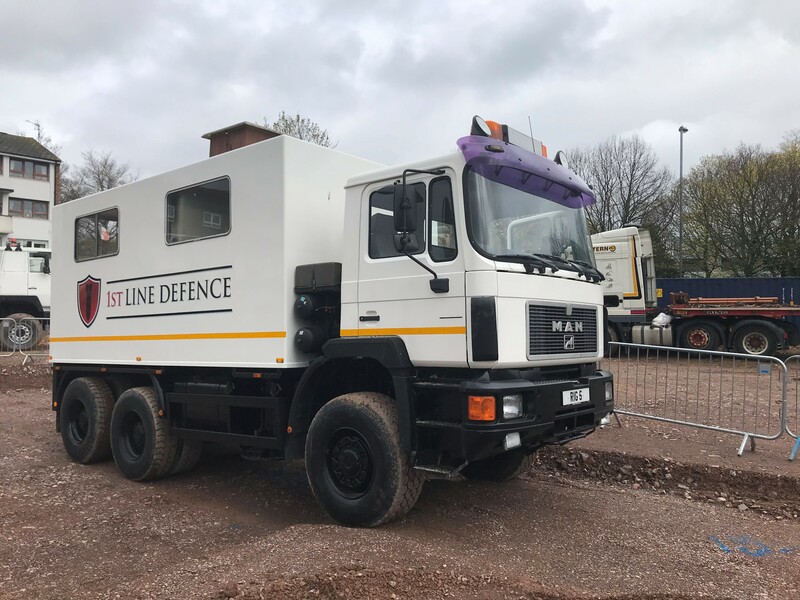 On sites where a risk of encountering deep buried unexploded bombs (UXBs) has been assessed, and where piled foundations are planned, 1st Line Defence can provide an Intrusive UXO Magnetometer Survey to provide clearance ahead of individual pile locations/clusters and boreholes. This method permits survey at depths not achievable by non-intrusive methods and in conditions beyond the detection capabilities of a non-intrusive survey, such as in areas of ‘made ground’ and gross surface ferro-contamination. Anomalies identified during the survey which are modelled as having similar characteristics to a UXB, can be avoided or investigated dependent upon the site conditions and the client’s requirements.